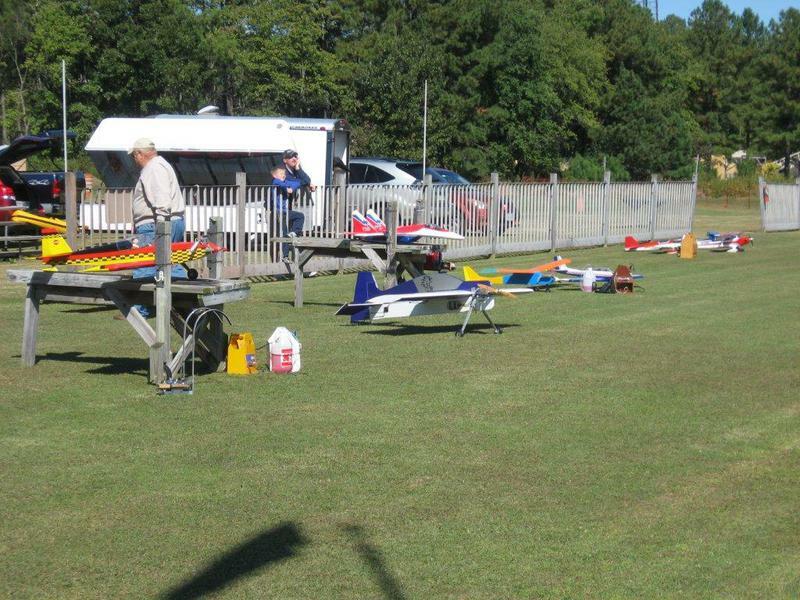 The intent of this page is to provide more information and to answer questions for someone thinking about taking up RC aircraft flying as a hobby. Special thanks to Hanover RC and Steve Prescott of Hampton Roads RC for contributing to the content of this page. When not working or sleeping, you can probably find me flying my model aircraft. As have a number of folks my age, I've dabbled in a lot of different things (sailing, model trains, music, astronomy, gardening…), picking up this hobby two years ago was one of the best decisions I've made. While the model aviation community has been active for more than 75 years, recent innovations in electronics, batteries, engines and air frames has made this one of the coolest avocations around. Now in my third summer, I wonder why every engineer doesn't do this. The engineering, math and physics of model flight frequently amaze me and the technologies available make it possible for these aircraft to do surprising things. Working the integration of electronic stabilization, GPS, telemetry and speed control is an engineer's dream. While designing, building and modifying these models is exciting, operating them provides for an activity that is essentially a flying science project that can send your adrenaline through the roof. While mishaps with the aircraft can lead to great crash videos, there's nothing more rewarding than getting your plane back in one piece. The aircraft and tools needed to get into the hobby are not as costly as you might expect (certainly no more than your average golfer or boater spends). Modern PC-based flight simulation is affordable and tailored specifically to teach modelers to fly using their own equipment plugged into the PC. There are several local clubs on both sides of the water where the members like nothing more that helping new people get into the hobby. These clubs are very healthy in the Tidewater area and, while there are many flyers, members also have the added benefit of a wide social network. Membership in these clubs comes with membership in the Academy of Model Aeronautics. The AMA provides specific guidance on the safe construction and operation of aircraft and liability insurance associated with AMA compliant flying. The local clubs are active year round and offer the opportunity to establish lifelong friendships with folks that share a common passion. The bottom line: the technically inclined that are not flying are missing out on one of the best activities out there. Becoming a Member of an R/C club such as ours has many benefits. 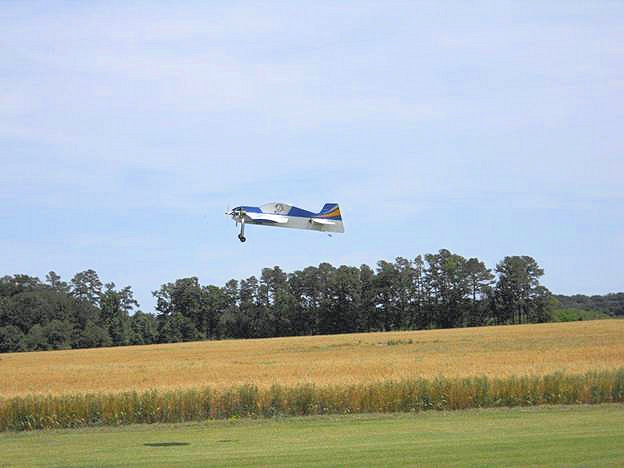 The primary benefit is having a safe, wide-open location to fly, but there are many other benefits including: instruction for the beginner, participation in R/C flying events and competitions, getting valuable help with equipment selection, availability of experienced flying members, a well maintained flying field, and someone to share your enthusiasm for the hobby of R/C flying. Most importantly, the fellowship of like minded individuals that share your enthusiasm for the hobby. Membership is open to anyone who is interested in building and/or flying radio controlled model airplanes, helicopters, or quadcopters. We have a diverse membership from all walks of life that range in age from 12 to 80 years old including both male and female pilots. Members in CVA are required to be members of the Academy of Model Aeronautics (AMA). Established in 1936 by and for modelers, the AMA is the internationally recognized organization for model aviation. New to R/C flying or just need to hone your skills? The club has volunteer instructors available to help you get your R/C wings in no time. Flight instruction includes understanding the mechanics of the aircraft, proper safety checks and procedures, and flight instruction on the “buddy-box” system to help you get the most out of your instructional time. Are you ready to get involved in Radio Control Flying? Getting involved in this exciting hobby usually starts with a lot of questions. It is recommended that you visit our flying field and talk with our members or feel free to contact us. Our members can provide a wealth of information about their experience and point you in the right direction. We can also arrange for a hands-on experience with RC Flying. Send us an email or call one of our representatives and we can arrange for you to meet with one of our club instructors who will let you fly one of our trainer aircraft and get the experience of a lifetime. If you are planning to buy radio control equipment, we strongly urge you to stop by our flying field or contact one of our representatives so that you can benefit from the experience of our club members. We will gladly advise you on the right equipment to purchase so that your introduction to the thrill of RC Flying will be a pleasant one. After you have purchased your equipment, we will advise you in the assembly, setup, and maintenance of your model aircraft, engine, and electronic equipment. Our instructors will guide you from takeoff to landing and through your first solo flight. After you have gained proficiency in flying your aircraft, club members will be more than happy to help you through the more advanced piloting skills of performing aerobatic maneuvers with your RC aircraft. These skills may even prompt you into competing in radio control aerobatics contests.